Find out how you stack up to the average net worth by age (as well as systems to increase your net worth today). These are invisible scripts — the unspoken things we tell ourselves that are so deeply embedded in our lives that we don’t even realize they guide our behavior and attitudes. One of the dumbest ones that I keep noticing time and time again? There was an article recently published in CNBC by Duncan Riach. He made his millions during his twenties and discovered that an obsession with net worth often became a spiral of obsessive comparison, jealousy, and feelings of inadequacy. “If you equate your worth to how much stuff you have, then you will always be noticing people who have more than you, and you will always be feeling that you don’t measure up. 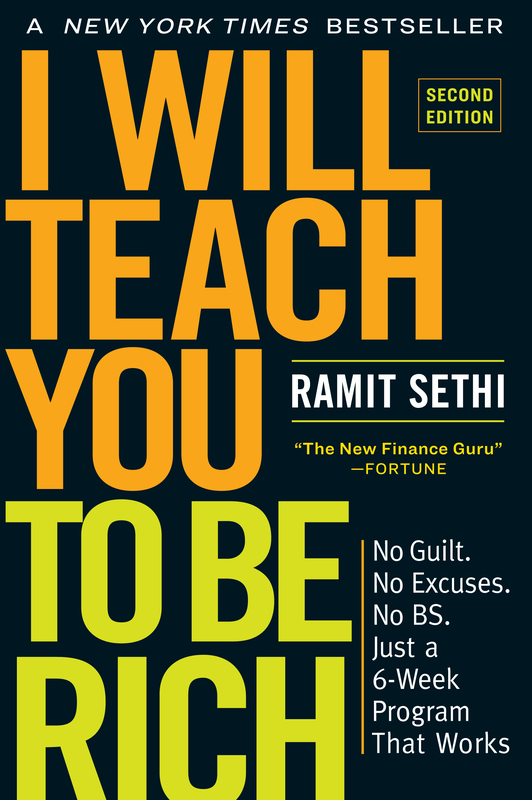 Riach realized that net worth was just a number — and totally meaningless when measuring happiness or success. In fact, it actually distracts from living a Rich Life because you’re more worried about appearing rich than doing things that bring you the most joy. I want to give you a primer on what net worth really means and how you shape up compared to everyone else. No, I’m not trying to make you feel inadequate or show you how much worse you’re doing compared to your peers. I just want to show you what the reality of the situation is like — and what you can do about it. Every once in awhile, the United States Census goes out and polls Americans, asking them basic questions about themselves and their living situations. The government then aggregates this data for us to see and provides statistical demographic information along with it. Though this chart gives a good overview of these age ranges, it’s not very detailed. And if you’re a twentysomething fresh out of college worried about whether your net worth is “average” compared to your peers, you probably really want to know these specific numbers. Earlier this year, the good people at TheCollegeInvestor.com dove into the financial data of millennials to calculate the net worth of folks from the ages of 18-35. They then aggregated this data and used it to come up with a rough number for what the net worth for millennials is. Notice anything about this chart? Many younger millennials actually see their net worth in the negative five figures. The reason for this: Student loan debt. In fact, the average millennial is saddled with around $22,135 in debt, according to CNBC. Though that can be a disheartening fact to many readers, the chart actually offers a nice light at the end of the tunnel: Net worth continually goes up after you graduate college at 21. Makes sense. After all, that’s when you enter the job market and begin earning real money. As I said earlier, comparing yourself to others will get you nowhere. What will help your situation is actually doing something about it. Because even if your net worth is lower than the average, that doesn’t mean that it’ll stay that way. In fact, I have a great system to help you actually INCREASE your net worth. WARNING: This system isn’t for cowards and children. It’s for people who know that earning and saving more takes time and energy. If you want a get-rich-quick scheme or a magic bullet to help you boost your bank account, stop reading and go buy a lottery ticket. If you want something that’ll actually work, keep reading. I’ve said it before, but I’ll say it again: Debt is one of the biggest barriers to living a Rich Life. A recent study by the Pew Research Group shows that roughly 8 in 10 Americans are saddled with debt — with home mortgages as the primary cause. Whether you have a mortgage, student loans, credit card debt, or all three, you need to work on getting rid of it first before you want to even think about increasing your net worth. That’s why I created a system to help you eliminate your debt. It’s the exact same system I outlined in my book that helped THOUSANDS of readers finally escape their debt. Find out how much debt you have. Though it may sound easy, finding out exactly how much you owe is a lot harder than you think. A recent study by the New York Fed found that many Americans actually underestimate the amount of debt they owe. People feel guilty about their debt and would rather bury their heads in the sand than do something. However, this is EXACTLY what lenders want — for you to ignore what you owe and continue paying the minimum payments while accruing interest on your debt. I challenge you to own your debt and find out what you owe. Only then can you approach eliminating it strategically. Decide what to pay first. You’re going to want to prioritize which loans you’re going to pay. Find the one with the highest interest rate and target that as the one you’re going to pay off first. When it comes to student loans you can actually save by spending more. Let’s say you have $10K in student loans at a 6.8% interest rate and a 10-year repayment period. If you pay the standard monthly payment, you’ll pay around $115/month. Here’s what you’ll pay if you paid just $100 more each month. The minimum will leave you saddled with more debt. Even $20/month more helps save you a lot of money. Stop taking on debt by eliminating temptation. If you want to get rid of your debt for good, you can’t keep adding to it. That’s why you need to stop yourself from taking on more, at least until you’ve gotten rid of your existing debt. If you’re in credit card debt, get rid of your credit cards completely. You can put them in a safety deposit box in your bank, have a friend or loved one hold on to them for you, or you can literally freeze it in a block of ice. Seriously. It works. Negotiate a lower interest rate. Did you know that you can actually save over $1,000 in a single phone call with your credit card company? Using simple negotiation systems, you can lower your credit card’s APR and put that money back in your pocket. For the exact scripts that you can use during your negotiations, be sure to check out my full article on eliminating debt. Decide how you’re going to pay your debt. There are a number of ways you can approach this. You can use the money you got from step four and put it towards chipping away at what you owe. You can also tap into hidden income to free up some money. If you’re really enterprising, though, you can start EARNING more money — I’ll explain that in a little bit. Do you want to see your net worth jump into millions when you’re older? What a silly question. Of course you do. That’s why you need to start investing. If you want to invest wisely, there’s no better way to do it than through the Ladder of Personal Finance. This is a system I developed to help people get an exact sense on where exactly they should be investing their money. 401k. This powerful investment account offered by your employer allows you to invest pre-tax earnings for retirement — and it’s completely managed by your company. Many times, your employer will also match your contributions up to a certain percentage of your paycheck. If this is the case, you absolutely need to invest AT LEAST enough to get the full match. For more information, check out my article on how much you should put into your 401k. Debt. You need to make sure that you’ve eliminated your debt before you can think about earning more money. Use the system I’ve outlined above to get started. Roth IRA. Once you’ve started contributing to your 401k and eliminated your debt, you can start investing into a Roth IRA. Unlike your 401k, this investment account allows you to invest after-tax money and you collect no taxes on the earnings. As of writing this, you can contribute up to $5,500/year. Everything else. Once you’ve maxed out your investments in your Roth IRA, you can go back and contribute to your 401k until you’ve maxed that out as well. Currently, there’s an $18,000 annual contribution limit. That might seem like a lot, but if you invest aggressively and early, you’re guaranteed to accrue a whole lotta money by the time you retire. Check out my 2:42 video on the Ladder of Personal Finance for more information. There’s no limit to how much you can earn. This mantra has served as the backbone for my entire career, and it’s helped thousands of people blow up their earning potential. If you want to see your net worth grow, there’s no better way to do it than by investing money and coupling it with earning more money. But there are SO many ways to do it…which way is the best?